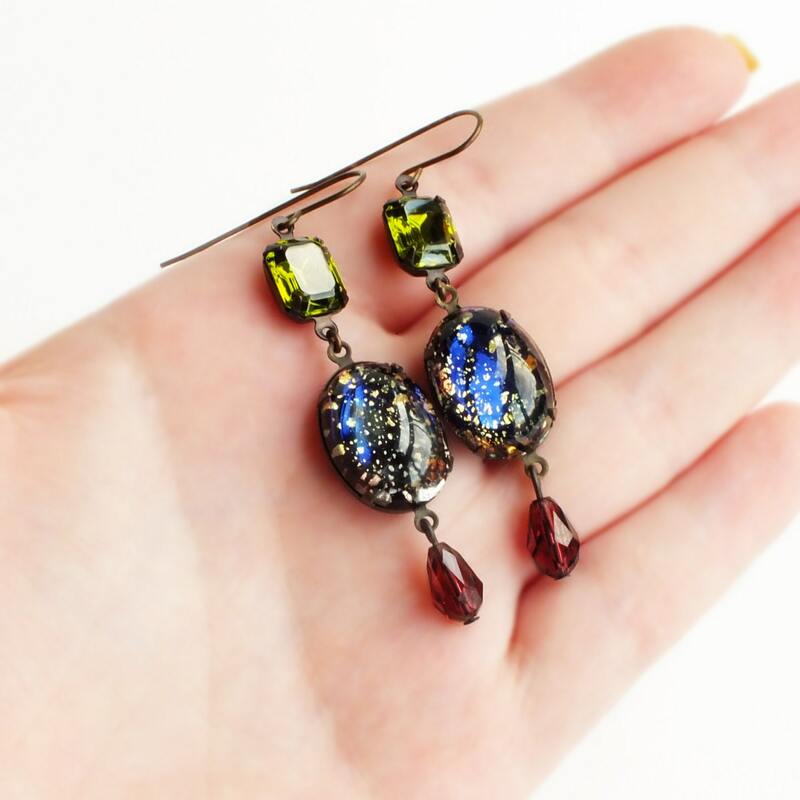 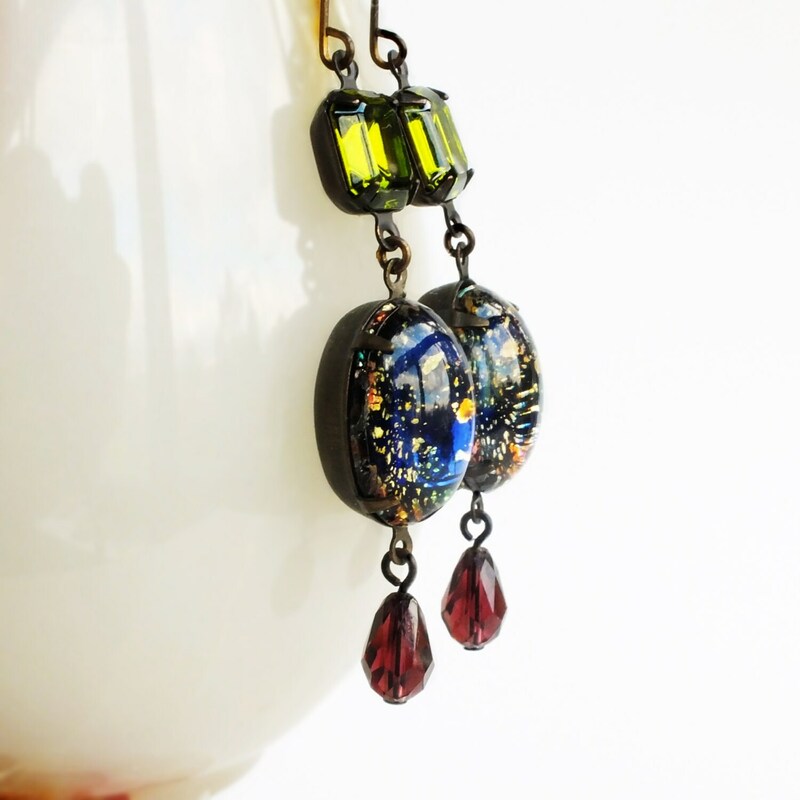 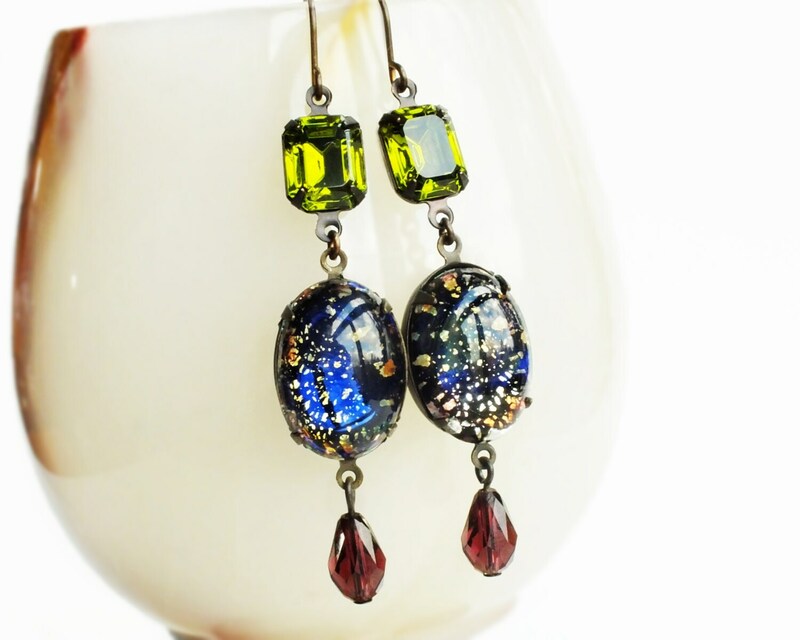 Handmade black opal dangle earrings with vintage iridescent glass harlequin fire opals. 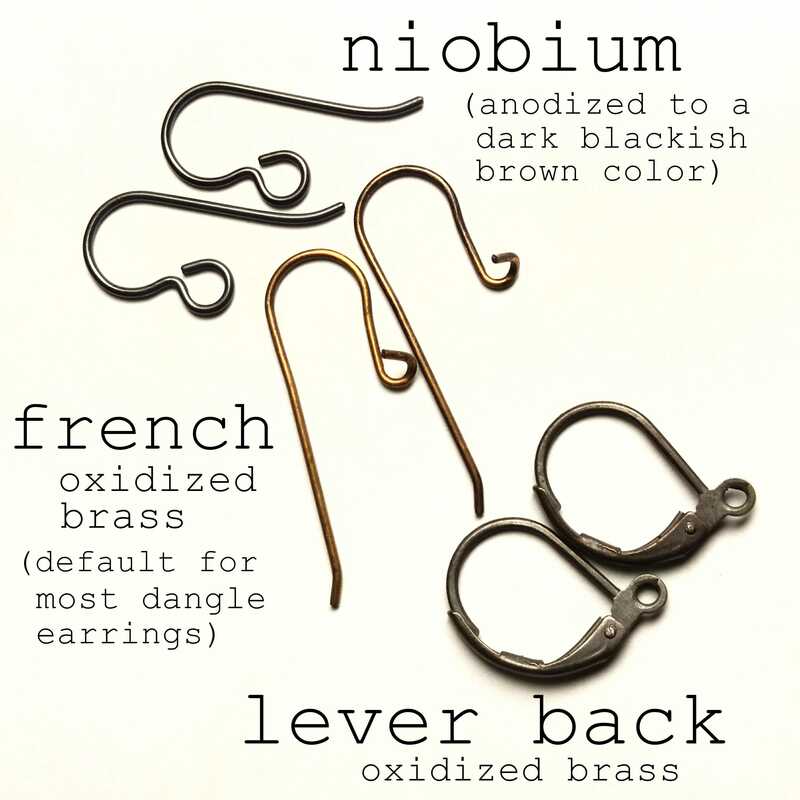 US made oxidized brass designer ear wires and pronged settings. 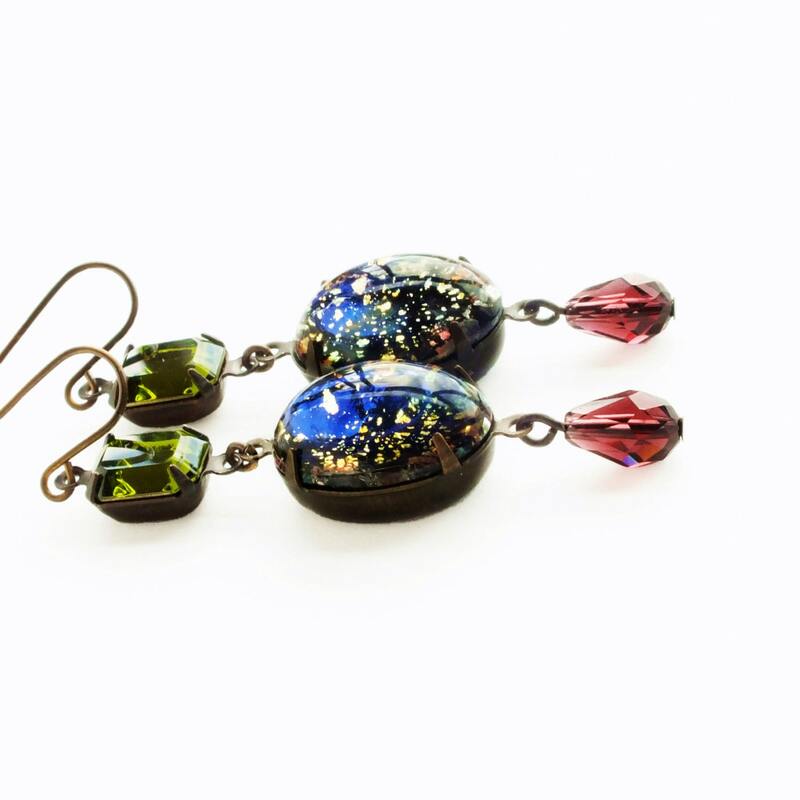 Made with stunning rare vintage black foiled harlequin fire opal glass cabochons with bright electric blue iridescence. 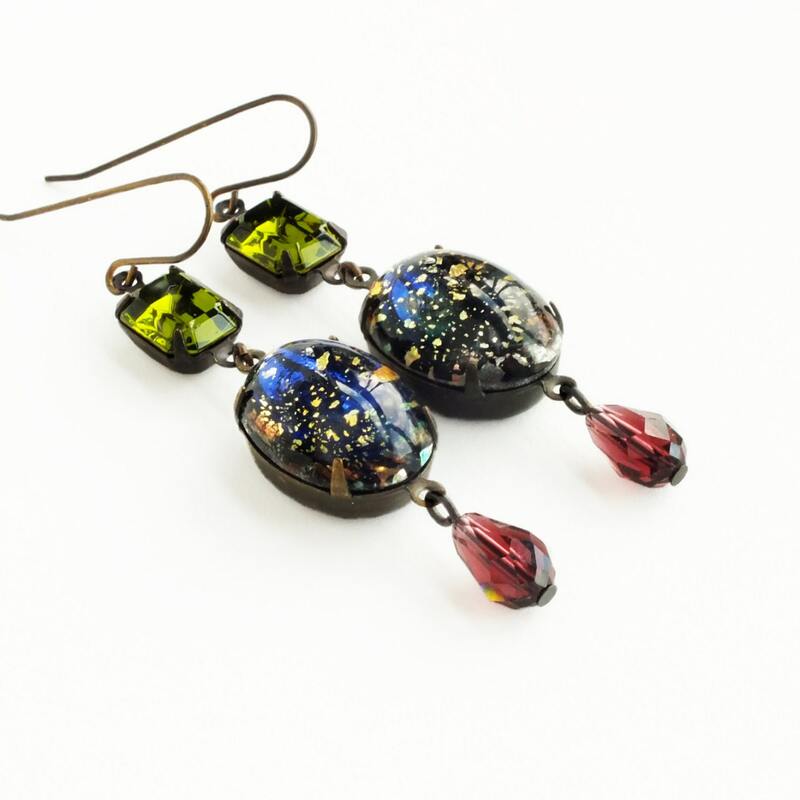 Set in dark brass pronged settings adorned with olivine green vintage rhinestones and amethyst Czech glass dangles.